This Request for Solutions (RFS) is issued to locate capable vendors with the ability to deliver a unique solution for the System-of-Systems Controlled Environment Test Infrastructure (SCETI) requirement presented below. The Government will evaluate the solutions with the intent of awarding an Other Transaction Agreement (OTA) in accordance with 10 U.S. Code § 2371b. 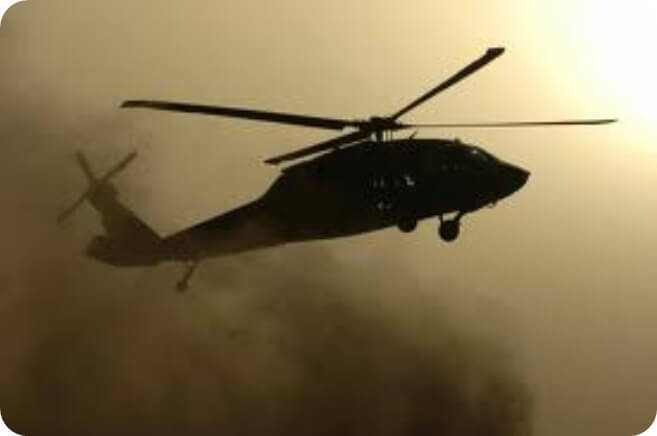 The U.S. Army is interested in improving its test capability for sensors used in degraded visual environments (DVE) conditions, including dust and heavy rain. Current Government test capabilities allow for testing in live-flight (manned rotary winged tests), which provides realistic flight mechanics but comes with significant costs and risks – or in a laboratory setting, which is low cost but does not provide realistic mechanics. Additionally, in live flight test, the environments to which the system under test (SUT) can be exposed to are limited and non-repeatable. In order to improve this test capability, the U.S. Army is interested in prototyping a system that will place sensor assemblies into low cost emulated flight through artificial repeatable rain and dust DVEs characterized by instrumentation in order to directly enhance the readiness and capability of Army aviation platforms. The full SCETI capability will be delivered to Redstone Test Center. A stand-alone copy of the dust measurement suite will be delivered to Yuma Test Center. 2.1 The characteristics of this system and the Government concept for its development are included in the attached SCETI Technical Supplement. 2.2 Intellectual Property and Rights in Technical Data: Intellectual Property is to be negotiated based on the offeror’s proposed solution. It is the Government’s desire to receive Government purpose rights to all development and deliverables of technical data funded under the transaction agreement to include but not limited to RATH-based software plugins developed for operation of SCETI (source code and executables). Government purpose rights means the right to use, modify, reproduce, release, perform, display, or disclose technical data within the Government without restriction; and release or disclose technical data outside the Government and authorize persons to whom release or disclosure has been made to use, modify, reproduce, release, perform, display, or disclose technical data for United States government purposes. The Government desires to have government purpose rights for at least a five-year period, which would commence upon delivery of the SCETI capability. The Vendor would have the exclusive right, including the right to license others, to use technical data in which the Government has obtained government purpose rights under this contract for any commercial purpose during this five-year period. Documentation for software based on the Government-owned RATH architecture will be marked with Distribution Statement D, Distribution authorized to the Department of Defense and U.S. DoD contractors only due to Critical Technology effective 4 January 2018. Commercial software native to any COTS items used require no distribution statement or export controls. The definitions for rights in technical data and computer software under this effort shall be the same as utilized in the Defense Federal Acquisition Regulations clause 252.2277013(a), dated FEB 2014. 2.3 Vendors interested in responding to this Request for Solutions must be members of the Training and Readiness Accelerator (TReX). 2.4 Evaluation Process: After receipt of submissions from TReX members, the Government will complete their initial assessments from a pool of Government subject matter experts*. At this point, the Government may conduct a down select to the pool of vendors with the most technically feasible solutions to hold expanded conversation on the proposed solution and/or potential demonstrations, however responses may be accepted without further discussion. *Support contractors will not be involved in the evaluation of responses. 1.) the emulated flight capability; 2.) the SCETI control software; 3.) the atmospheric measurement capability; and 4.) the rain development capability. This hierarchy of capabilities is based on the criticality of the component capability to the SCETI mission. For example, if SCETI has an emulated flight capability but no rain capability, sensors may still be tested in existing dust generators at Redstone Test Center or during naturally occurring rainstorms. In addition to describing the approach to delivering these capabilities, the technical solution shall include a full discussion of: a) anticipated development risks; b) a description of the maintenance concept for SCETI; c) estimated lifecycle management costs for a fully delivered system; d) team composition and subvendor involvement. Ensure that you state all assumptions made during development of your responses. 3.2 Intellectual Property and Rights in Technical Data: As outlined in paragraph 2.2 above, all IP and data rights remain negotiable based on individual vendor solutions. While the Government has expressed their desire, Vendors are not limited to proposing solutions which adhere only to that desire. Your response should clearly outline the appropriate rights in technical data that will be delivered with your solutions, as well as a list of any third-party software/hardware to be delivered; in addition to any required overhead/recurring costs of the use of that software/hardware. 3.3 Anticipated Delivery Schedule: With the technical solution, the Vendor shall include the anticipated delivery dates of all SCETI capabilities and completion dates for all tasks and task stages as described in the SCETI Technical Supplement. The Vendor is permitted to propose a modified staging structure within their solution, with justification for deviation from the Government concept, as appropriate. 3.4 Proposed Pricing Milestones: Vendors should submit fixed amount pricing with their solution, with payments occurring at clearly definable, detailed milestones. It should be clear, with sufficient detail, what is being delivered at each milestone. These milestones will serve as more than mere payment points, but also as “gates” to proceed onward with the project. 3.5 Tailored SCETI Technical Supplement: Vendors will be asked to tailor the SCETI Technical Supplement alongside the solution with tracked changes to reflect the solution and approach proposed. Acceptable tailoring includes modification of characteristics to describe what the proposed solution will deliver, modifications to the staging strategy as described within the technical solution, and reference documents to be provided by the Government as required to provide the solution. 3.6 Provide your nontraditional* business status or your ability to meet the eligibility requirements in 10 U.S. Code § 2371b on the cover page of your response. Within your response, please check the following box which applies – with appropriate justification if applicable. 3.7 In addition to your nontraditional business status, the cover page of the response shall also include the company name, Commercial and Government Entity (CAGE) Code (if available), address, and primary point of contact including phone number and email address. 3.8 All questions related to this RFS should be submitted in writing to initiatives@nstxl.org, with “SCETI” used in the subject line. Note: the Government reserves the right to post submitted questions and answers, as necessary (and appropriate) to facilitate vendor solution responses. 3.9 Responses shall be submitted no later than 12:00 PM EST on March 15, 2018. Your response should be submitted electronically to initiatives@nstxl.org, with “SCETI” used in the subject line. 3.10 Responses shall not exceed 25 pages in length, utilizing standard 12-point font. Any charts or figures are not bound by the 12-point font requirement. 4.1 Individual responses will be evaluated with consideration given to the demonstrated expertise and overall technical merit of the response, feasibility of implementation, and total project risk. The proposed project price, delivery schedule, and data rights assertions will be considered as aspects of the entire response when weighing risk and reward. Further, the Government will evaluate the degree to which the proposed concept provides an innovative, unique – yet realistic and sustainable - approach to meeting the SCETI technical capabilities and objectives. 4.2 The Government reserves the right to request demonstrations of commercially proposed solution sets as part of the negotiation and risk assessment portion of the evaluation. 4.3 The Government will issue an OTA to the respondent(s) whose solution substantiates to be most advantageous to the Government, cost, schedule, technical risks and other factors considered. The nature of the agreement will be heavily influenced by individual solutions proposed. However, it is the Government’s intent for the OTA(s) issued to be of a fixed amount, with clearly definable milestones. The agreement will provide a mutually beneficial plan between Government and vendor to complete each task outlined in the SCETI Technical Supplement within the scope of the vendor’s solution. 6.1 The costs of preparing and submitting a response is not considered an allowable direct charge to any contract or agreement. 6.2 Export controls: research findings and technology developments arising from the resulting White Paper may constitute a significant enhancement to the national defense and to the economic vitality of the United States. As such, in the conduct of all work related to this effort, the recipient will comply strictly with the International Traffic in Arms Regulation (22 C.F.R. §§ 120-130), the National Industrial Security Program Operating Manual (DoD 5220.22-M) and the Department of Commerce Export Regulation (15 C.F.R. §§ 730-774). 6.5 The Agreements Officer for this effort is Mr. Brian Serra. He can be reached at brian.d.serra.civ@mail.mil or 407-208-3357. To view or download the SCETI Request for Solutions (RFS) or Technical Support Supplement, select the applicable link (click each to view the specific document). Active TReX Membership is required to submit a solution for this RFS. To start your TReX Membership application and registration, please visit TReX Membership. Any questions regarding the SCETI Request for Solutions and/or the SCETI RFS Technical Supplement should be directed to initiatives@nstxl.org.